A simple model and a simple equation. With this basic formula, Jimmy V was able to encapsulate what every person dreams of, what every person works for and what every person strives to solve every day: success. Jimmy V claimed he had it written down on everything, from his locker room to his notebooks to his bookmarks. Everything. He had it there so he could remind himself every day that, no matter what life threw at him, he always knew there was only one thing standing between him and success: motivation. And with that, he embraced and embody it. He chose each and every day to not only push himself to achieve more, but to spread this drive to everyone around him until, contagious, it could fill a room (or a team) with the energy and will to be successful. No matter where it came from or how it manifested, motivation became Jimmy V’s secret to success. Not just motivation sometimes or partial motivation or motivation when it’s convenient, but full-fledged, you-can-feel-it-when-he-walks-in-the-room motivation that filtered into everything he did from the way he coached to the way he fought cancer. He just knew Motivation was the key. He knew that motivation is what separates the person who simply completes a task from the person who pours their heart into every task they do regardless of its size, importance or timeline. He knew that motivation, born from dreams, was also the most critical ingredient that we needed to harness in order to ever accomplish those dreams. He knew that hard work didn’t beget success, but that lack of determination and dedication would absolutely mean you had no chance at success. He knew and believed that “every day, ordinary people do extraordinary things” and that motivation is what elevated them to success. Those three elements of motivation (Enthusiasm, Dreaming, Work Ethic) are what Jimmy V believed were between us and success. If we let those drive us every minute of every day like Coach V did, we would bring ourselves to the precipice of success without a doubt. Strong and powerful words from a man who seemed to have mastered motivation and, with that, success. Thus, in our next three installments, The Drive’s writers will take a look deeper into each of those parts of motivation to figure out how Jimmy V incorporated those elements into his own life (and the lives of those around him) and to understand how we might be able to do the same. 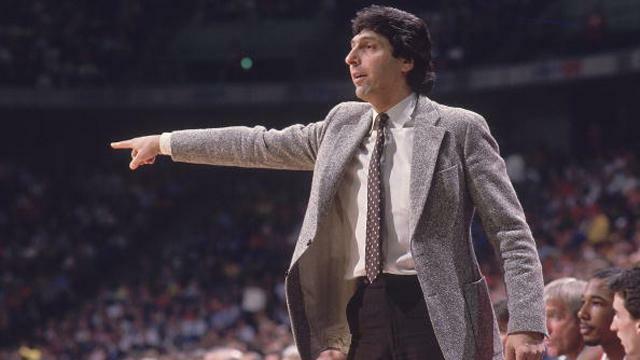 Check out one of The Drive’s favorite speeches by Jimmy V! Thanks for checking out the “The Drive.” If you are inspired by Coach V’s greatest gifts of wisdom like we are, please check out The V Foundation to see if you can help. And if you enjoy the articles, we hope you’ll come back every week for quotes, pictures, people or moments that we hope can provide inspiration or motivation in your life. Or follow us on Twitter @TheDriveSports and look for #DailyDriver to get your daily dose of inner fire! I love this! Those are the keys…enthusiasm, dreaming and work ethic! Thanks! We couldn’t agree more. In fact, we’re actually writing an article diving a little bit more into each of those three elements in the next few days (two have already been posted). If you get a chance, please take a read through and let us know what you think! What a wonderful blog. I spend hours on the innertet reading blogs, about tons of different subjects. I have to first of all give kudos to whoever created your website and second of all to you for writing what i can only describe as an post. I honestly believe there is a skill to writing articles that only a few posses and frankly you have it. The combination of informative and quality content is definitely extremely rare with the large amount of blogs on the innertet.